This Mother's Day, Nickelodeon/Nick at Nite pays tribute to moms with the coming together of four classic TV mothers – Happy Days Marion Ross, The Brady Bunch's Florence Henderson, Family Ties Meredith Baxter, Sister, Sister's Jackèe – and one classic TV daughter, The Cosby Show's Tempestt Bledsoe who will join star Tia Mowry-Hardrict in an unforgettable episode of Nick at Nite's Instant Mom, premiering next Thursday, May 8 at 8pm (ET/PT). In Instant Mom's "Not Your Mother's Day," Stephanie (Mowry-Hardrict) is excited for her first Mother's Day, but is disappointed when she learns the family intends to celebrate her on Stepmother's Day instead. 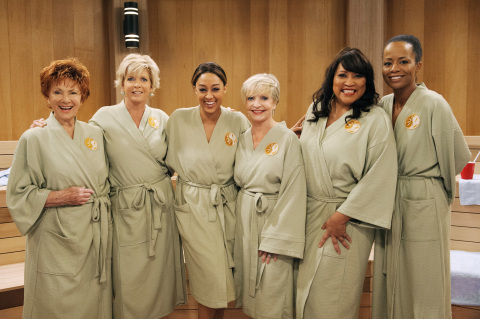 Stephanie takes her own mother, Maggie (Sheryl Lee Ralph) for a last-minute spa trip to celebrate the holiday and gets some unexpected "mom" advice from a few experts who attempt to cheer her up. All four iconic TV moms chime in about their own experience being a mother, giving a hysterical nod reflecting their classic characters. Recently picked up for a second season, Instant Mom follows Stephanie (Mowry-Hardrict), a party girl who marries Charlie (Michael Boatman, Spin City) and struggles to maintain some sense of her fun-loving, slightly irresponsible life while managing being a full-time stepmom. Sheryl Lee Ralph (Moesha) stars as Stephanie's overbearing mother Maggie, who is never shy about making known her point of view on parenting or pointing out its superiority to her daughter’s approach. STARZ announced a two-season, 20-episode greenlight of Blunt Talk, a half-hour scripted comedy series from Media Rights Capital (MRC). The project, from Seth MacFarlane (Family Guy, Ted, A Million Ways to Die in the West) and Jonathan Ames (Bored to Death), was picked up straight-to-series with 20 episodes over two seasons, set to air in 2015. 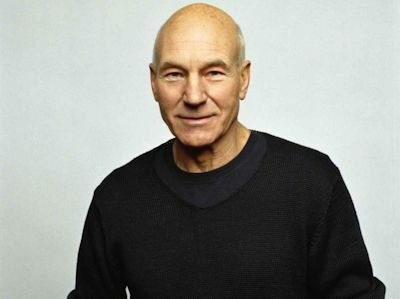 Patrick Stewart (X-Men franchise, Ted) will play the lead role of Walter Blunt and also serves as a producer. Patrick Stewart next returns to the big screen reprising his role as 'Professor Charles Xavier' in X-Men: Days of Future Past, out May 23, and stars in the independent comedy-drama, Match, which just premiered to rave reviews at the Tribeca Film Festival. Blunt Talk is a character-driven comedy revolving around Walter Blunt (Patrick Stewart), a British import intent on conquering the world of American cable news. Through the platform of his nightly interview show, Blunt is on a mission to impart his wisdom and guidance on how Americans should live, think and behave. Besieged by network bosses, a dysfunctional news staff, numerous ex-wives and children of all ages, Blunt's only support is the alcoholic manservant he transplanted from the U.K. to join him in Los Angeles. The series follows the fallout from Blunt's well-intentioned, but mostly misguided decision-making, both on and off the air. So then there was Maude. The sitcom will indeed be joining the schedule after it airs its Mother's Day marathon on Sunday, May 11. As of now, it will air in a block format with no set time, just like Logo's other sitcoms as part of their "Sitcom Therapy" line-up. Maude is scheduled to air Tuesday, May 13 from 12pm-4:30pm. Other airtimes after that are to be announced. We also mentioned Designing Women was coming to Logo but then they decided to delay the launch. Now it's on again...as of now. The '80s sitcom will premiere Saturday, May 17 with a marathon from 2pm-12am. Delta Burke, Dixie Carter, Annie Potts, and Jean Smart star in this legendary sitcom about a small interior design firm in Atlanta. Things could as always change, but we will let you know if that happens. For now, get ready for Maude and Designing Women on Logo! Stay tuned for any other updates. First Letterman, now Ferguson. Craig Ferguson announced that he has decided to step down as host of The Late Late Show in December 2014. Ferguson broke the news yesterday afternoon to his studio audience during the taping of the show, which broadcasts weeknights at 12:37-1:37 AM, ET/PT. Said Ferguson, "CBS and I are not getting divorced, we are 'consciously uncoupling,' but we will still spend holidays together and share custody of the fake horse and robot skeleton, both of whom we love very much." Ferguson has several projects in the works, including hosting Celebrity Name Game, a syndicated game show beginning fall 2014, as well as developing television projects via his Green Mountain West production company. 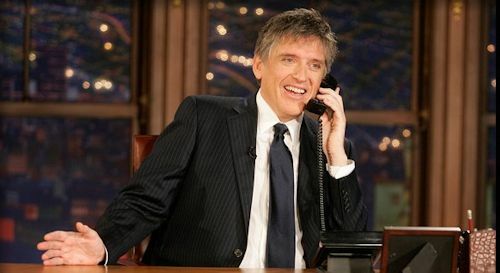 Since its debut in 2005, The Late Late Show with Craig Ferguson has won critical acclaim for its unpredictable style and its host's versatility and charm. The Scottish-born actor, writer, director and producer brought a unique approach to late night television, earning the show a Peabody Award in 2009, and an Emmy Award nomination for himself in 2006. The program's signatures include an extended, unscripted monologue and guest interviews noted for their free-wheeling nature. A new host will be named at a later date. Letterman will be replaced by Stephen Colbert, so perhaps another younger skewing host will replace Ferguson. Stay with us. 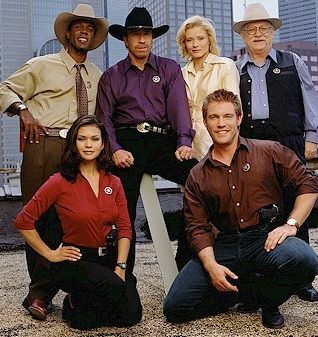 TV Land is adding Walker, Texas Ranger to its line-up beginning today (Monday, April 28). The Chuck Norris series will air weekdays at approx. 4pm & 5pm with back-to-back episodes. It will begin with the series' first episode where Walker has to deal with a new partner named Trivette, while a group of men terrorizing a circus family who camp out at his home and some tough, bad guys who plan on the ultimate bank stunt. In addition to Walker, Texas Ranger , TV Land is re-adding The Nanny to the line-up as the series will air Mondays from 6pm-9pm. TV Land will now have mini blocks of sitcoms from 6-9pm each evening, with The Nanny on Mondays, Roseanne on Tuesdays, Gilligan's Island on Wednesdays, The Golden Girls on Thursdays and The Cosby Show on Fridays. And that's not all! The Brady Bunch is now moving to weeknights, as the sitcom will air in primetime on weeknights (except Wednesdays) from 9-10pm. It will not air on weekends anymore it seems, as The Nanny joins the weekend block of block marathons with The Cosby Show, Roseanne, Gilligan's Island, Three's Company and originals. Back to weekdays, The Andy Griffith Show is moving to 9-10:30am as a result of Walker and the sitcom blocks being added. Westerns follow with Gunsmoke and Bonanza from 10:30am-4pm. In late night, Raymond and King of Queens air from 10pm-3:30am, with some originals mixed in. And in the overnight, Roseanne, Three's Company, Cosby Show and more original encores are airing. Stay with us for continued updates. 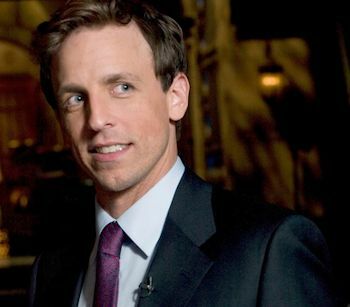 Seth Meyers has been named host of the 66th Primetime Emmy(R) Awards, to be telecast live Monday, Aug. 25 LIVE at 8pm ET/5pm PT on NBC. The event takes place at the Nokia Theatre L.A. LIVE in Los Angeles. Award-winning director and producer Don Mischer will serve as executive producer, producing with Mischer will be Charlie Haykel and Julianne Hare. Meyers is the host of NBC's Late Night with Seth Meyers and was a member of Saturday Night Live since 2001. In addition to being the show's head writer, Meyers was also a co-anchor of the show's popular "Weekend Update" segment. Meyers, who is also an Emmy winner, was named by Time as one of the 100 most influential people in the world for 2014. Additionally, the Television Academy will host the Primetime Creative Arts Emmy Awards on Saturday, Aug. 16, 2014. Emmy nominations will be announced Thursday, July 10. Stay with us on that date for the nominees. Total Viewers: #1. CBS 8.23 million (-7% from first four nights Week 30); #2. ABC 7.10 million (+1%); #3. NBC 6.28 million (-4%); #4. Fox 5.42 million (+1%); #5. The CW 1.56 million (+3%). For previous week's final ratings, Week 30 (4/14/14-4/20/14) had ABC win the week in 18-49 with a 1.5 rating, followed by CBS' 1.4, NBC's 1.4 and Fox's 1.3. In total viewers, CBS lead this with 7.86 million, beating ABC which did 6.45 million, NBC followed with 5.42 million, and Fox trailed with 4.03 million. Season to-date (9/23/13-4/20/14) in 18-49, NBC is on top with a 2.8, over Fox's Super Bowl-fueled 2.6, CBS is next with a 2.4, and ABC at a 2.1. In total viewers, CBS is still on top with 10.83 million, then NBC is second with 9.62, Fox is at 7.6 and ABC is at 7.52 as they are creeping in to catch Super Bowl-fueled Fox. Parks & Recreation NBC 8:00PM Thu 2,710,000 0.97 1 hr.